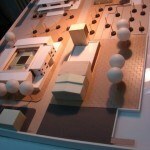 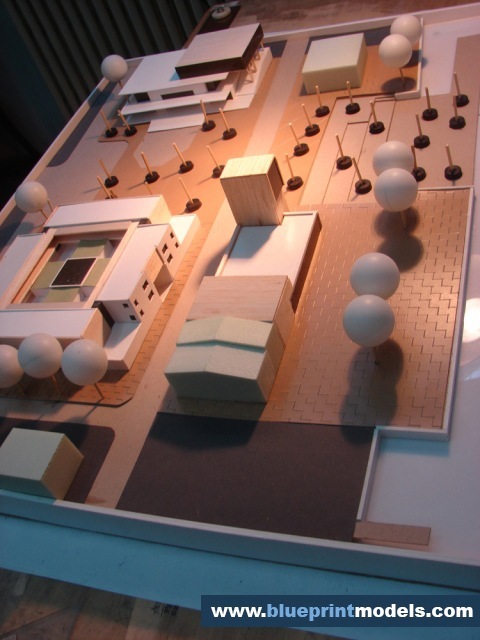 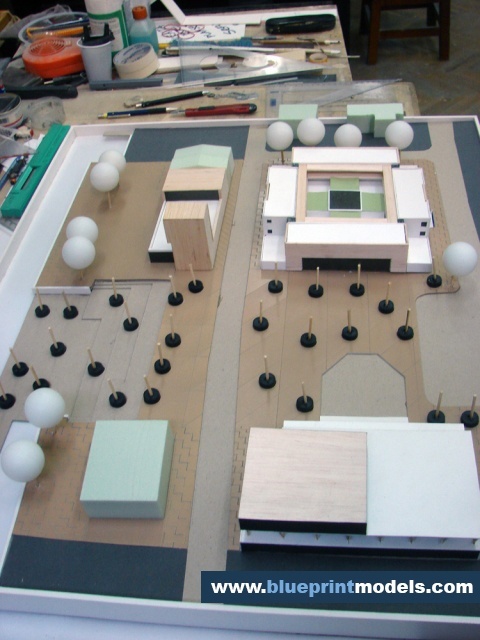 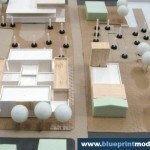 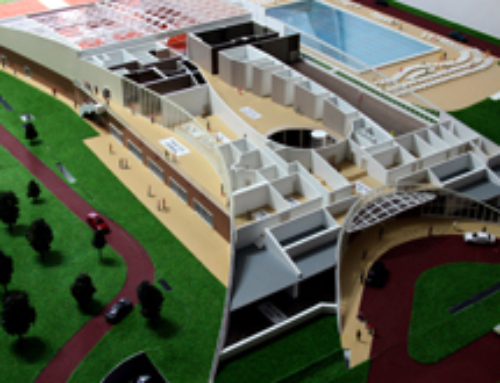 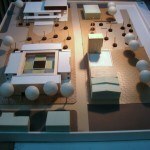 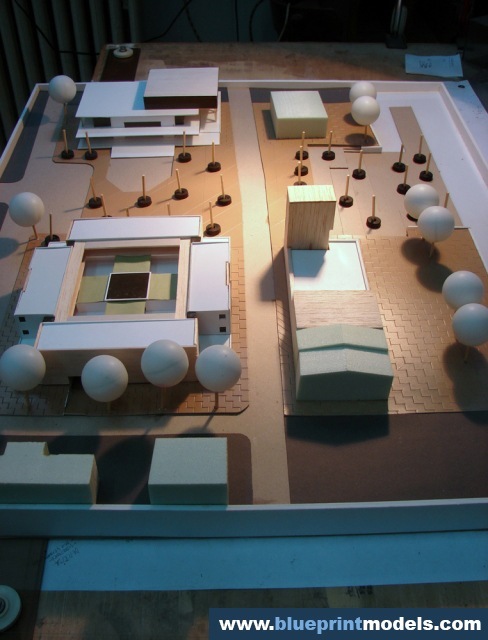 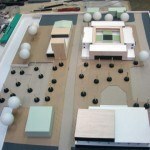 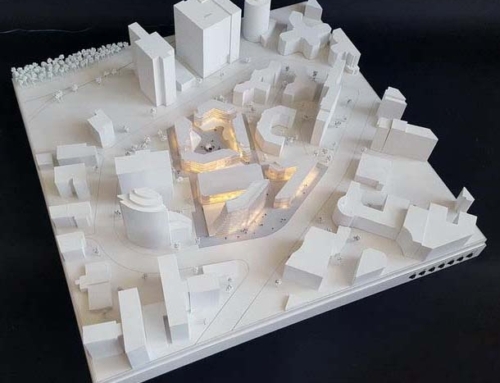 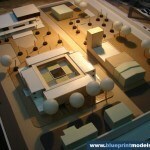 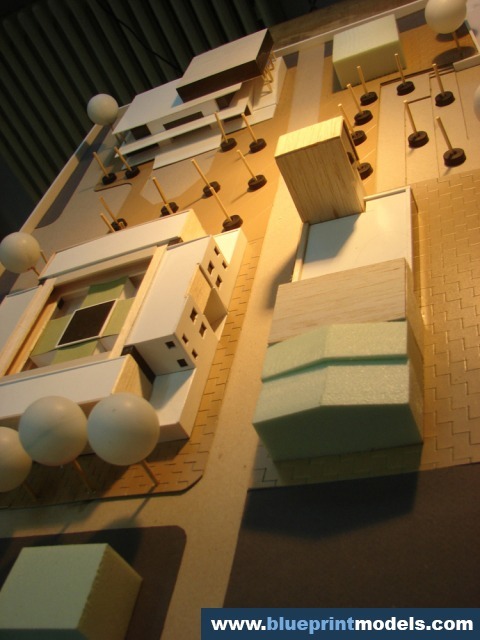 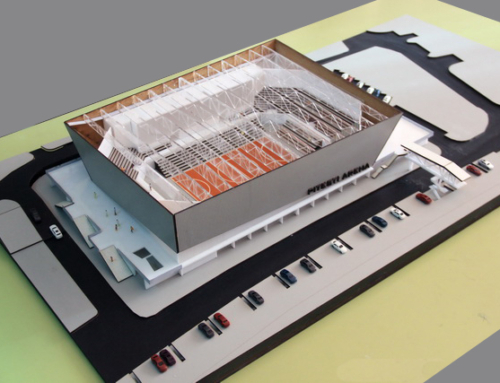 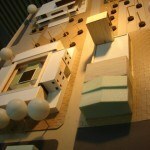 This is an architectural scale model of a tourist and information centre.This is commissioned by a tourism company to promote their upcoming new building. 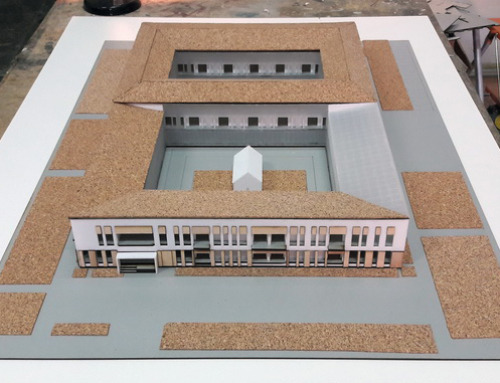 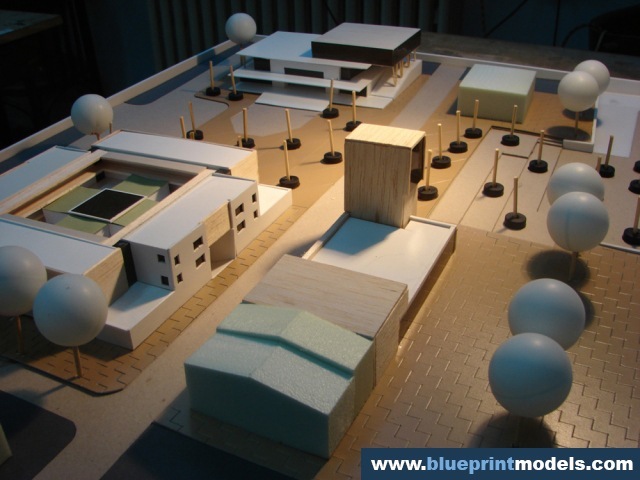 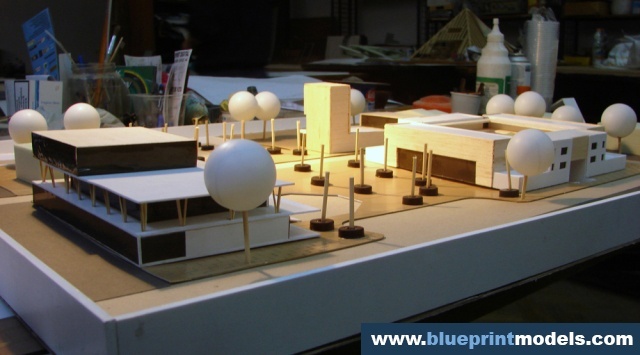 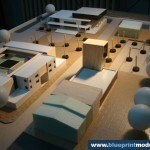 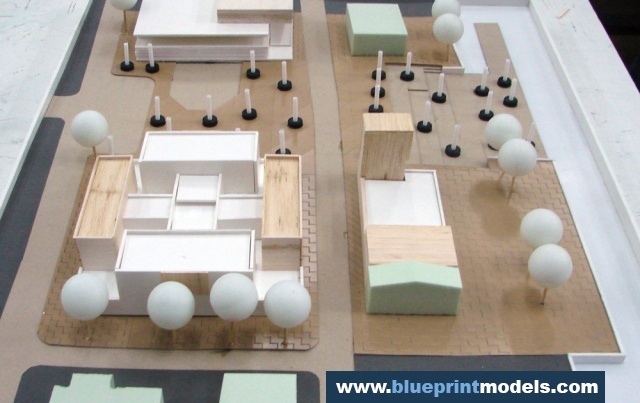 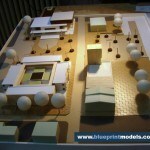 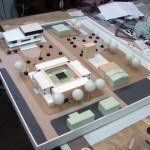 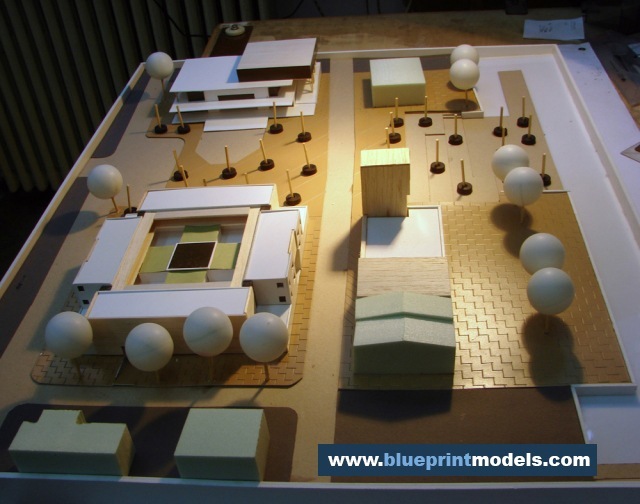 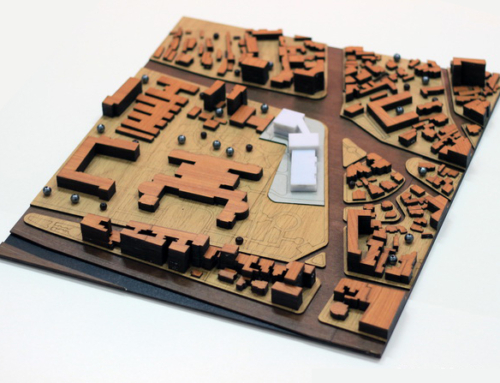 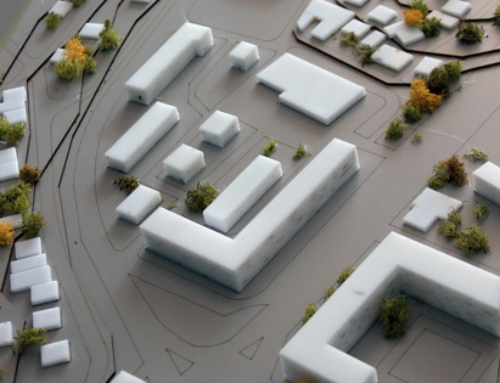 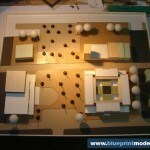 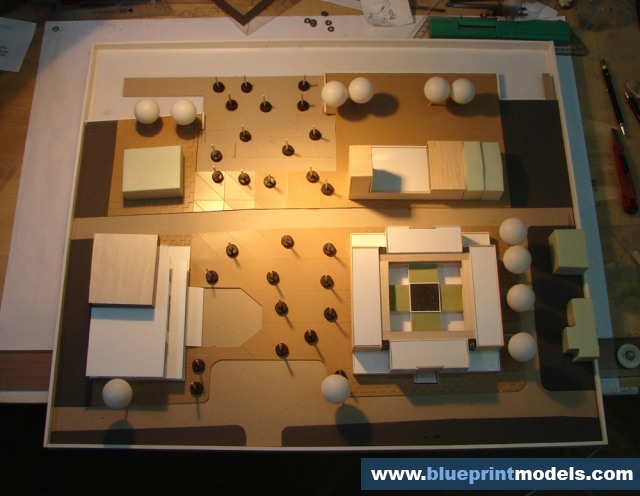 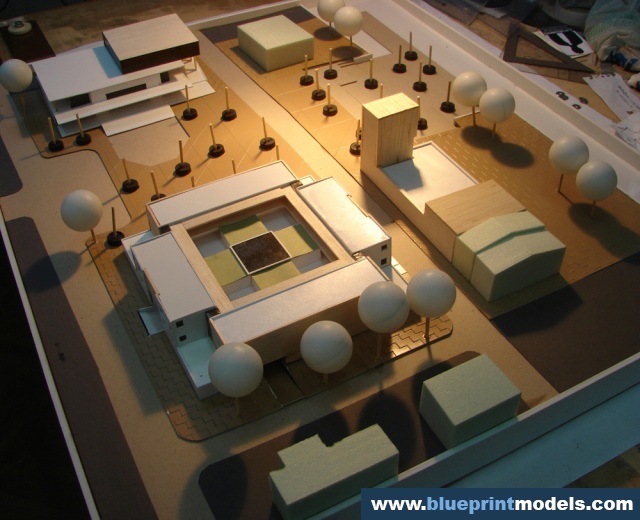 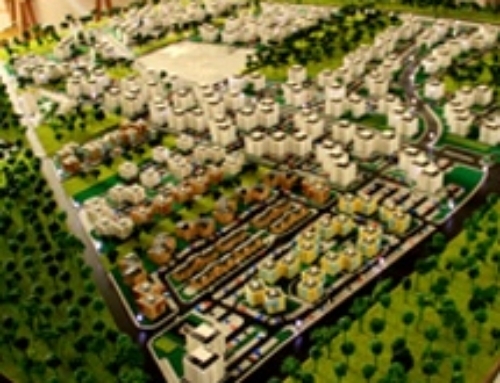 This model will not only serve to promote but also to understand the building’s construction.This project is to be submitted to the team who will develop the actual building in its respective location. 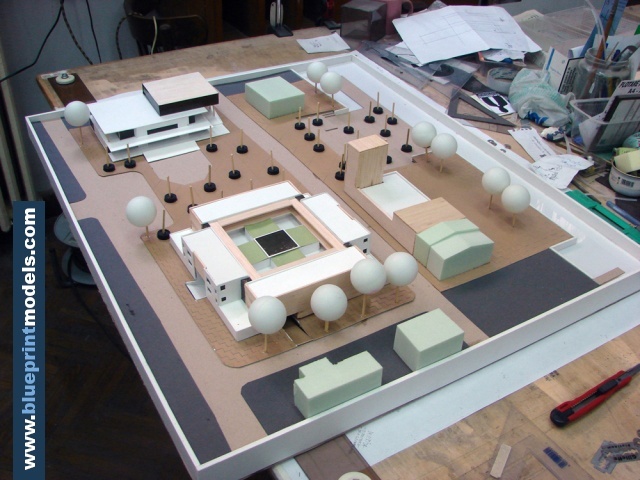 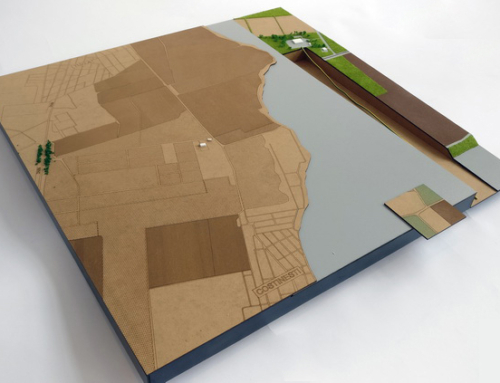 The model has a simple design but fine details which emphasize the aesthetics of the exterior.It has a scale of 1:500 and is made of polystyrene, wood, and plexiglass. 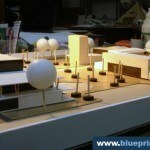 It is cut using laser technology to ensure accuracy.There are entourage details such as replicas of trees made of polystyrene spheres and patterned linings to resemble brick floors.Further addition to the entourage includes houses made of wood and polystyrene studs to complete the whole scene.